Professional EasyFill Hanging Baskets The Secret To The Biggest, Most Spectacular And Longest Lasting Displays! Specially designed for use by professional growers, these truly amazing baskets are now available for home gardeners so you too can grow the most incredible displays. Their unique construction allows you to plant from the outside in, passing each plant through pre-formed apertures without any root damage whatsoever. Once in place, you simply slip a lattice Gate in to position and it will hold the plant with the roots inside and the leaves and flowers outside in both cases perfectly unharmed by the process! 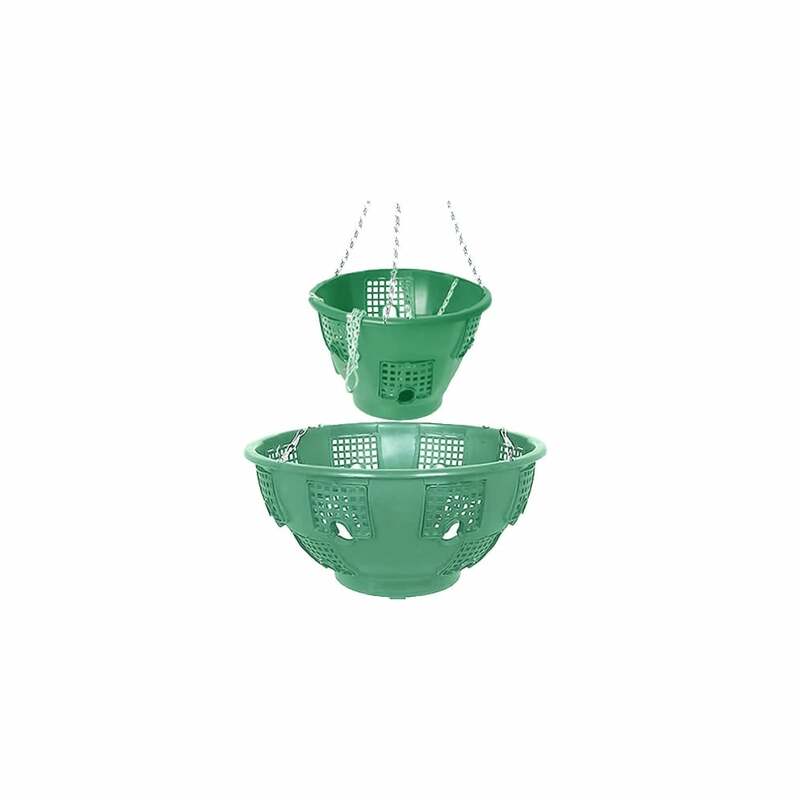 Unlike regular baskets with plastic liners, the EasyFill Hanging Basket allows the roots of your plants to breathe and ensures each has enough space to reach its full potential. Once fully planted - top, sides and bottom, the visual impact is immediate, stunning and long lasting.